A mechanic’s lien is an exceptional right allowed in America from the very beginning. In the late 1700s, a lien-like privilege already existed in the civilized countries in Europe with some laws with its footprint in the Roman Empire. Under early English law, no liens on real estate were recognized as it was against the policy of the feudal system to permit a tenant to charge land that was held by his feudal lord, and in turn, the King. Mechanic’s liens in their modern form even the playing field, and were first conceived by Thomas Jefferson to encourage construction in Washington D.C. The American version of the Mechanic’s Lien law was original, as it gave builders a stronger right into the land itself (versus just the improvement’s value). In California, the mechanic’s lien is a constitutional right. Due to the economic realities of the construction business, the legislature understood that contractors and subcontractors should have a greater remedy for non-payment for their work than just the right to sue on their contracts. 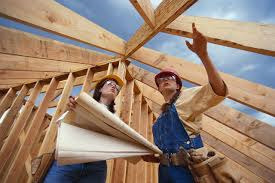 Without the mechanic’s lien, subcontractors providing either labor or materials may have no effective remedy if their general contractor is not financially solvent because their only contractual right is with that general contractor. A mechanic’s lien expands the number of options a contractor has to enforce payment of the amounts owed for their work performed. If you are a California contractor, you should know that you work in the only state that recognizes mechanic’s liens in its State Constitution. It is truly an extraordinary right granted to the construction industry. Contract:Under old law, the term “contract” was limited to an agreement between the owner and any original contractor performing work. The new code section expands the definition to “an agreement that provides for all or part of a work of improvement” and includes subcontract agreements. Work of Improvement:The term “work of improvement” has been expanded to include demolition and removal. The new definition refers to “real property” as opposed to the prior reference to “any lot or tract of land.” The definition now provides that “work of improvement” refers to the entire structure or scheme of improvement as a whole, including site work. Preliminary Notice:The “preliminary notice” is no longer referred to as a “20-Day Preliminary Notice.” Under the new statutes it is referred to as a “Preliminary Notice.” The new statutes consolidate the requirements of preliminary notices for both public and private works of improvement in the same code sections as opposed to the previous separate statutes. Recording A Notice of Completion: Under the old law, owners were required to record a notice of completion within 10 days of actual completion of the project. Under the new law, that time period is extended to 15 days. The deadline for recording a mechanic’s lien is determined by the completion date of the work of improvement. Under the old law, acceptance by the owner is one of the things deemed to constitute “completion.” Under the new law, that no longer applies. Waiver and Releases: The conditional and unconditional forms on progress and final payment were previously set forth in Civil Code §3262. Civil Code §8132 codifies the new mandatory release and waiver forms. In order to ensure that a “downstream” subcontractor has validly released its right to assert lien, stop notice, or payment bond rights, the law requires that specific waiver and release language be used. Under the new law (sections 8132, et seq. ), the required language has been changed slightly. One should be careful to use the form current as of the day the release is executed. For progress payments (as opposed to final payment), the form does not cover certain disputed or extra work items, or claims based on breach of contract. Release Bond. The dollar amount of a bond needed to release property from a lien has been reduced from 150 percent to 125 percent of the lien amount. Attorney’s Fees Related to Petition to Remove Mechanic’s Liens: Previously, there was a $2,000 limit on the amount of attorney’s fees that are recoverable on petitions to release/remove stale mechanic’s liens. Under the new law, the prevailing party can recover their reasonable attorney’s fees. Contractors who have failed to foreclose on their liens, should make sure the liens are released, otherwise you have exposure to the homeowner’s attorney’s fees should a petition to release the lien be filed with the court. To temper the attorney’s fees consequence, the property owner must first demand that the contractor remove the lien at least 10 days before filing a lawsuit in the form of a petition to release/remove the mechanic’s lien. To learn more about this new law and how it might affect your business, contact one of our experienced construction attorneys today.